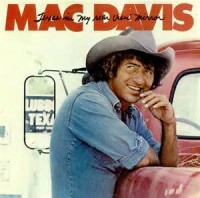 Today, as I was working in my shop, I was listening to Mac Davis on my iPod. I always listen to music as I work. It makes me happy. As the song, “Lubbock in My Rear View Mirror” was playing, it occurred to me that there might be a post in this. Wow, what a dark digression. I would apologize, but I still think it is an interesting lesson. Be careful with your words. Now, where was I? Oh yeah, Mac was leaving Lubbock, Texas. The essence of the song is the search for happiness, “I thought happiness was Lubbock, Texas in my rear view mirror.” The truth that is finally revealed through the song lyrics is that happiness has nothing to do with a place. I would add that happiness also does not come from things, people, or wealth. Some of those may make us feel happy, but true happiness comes from within us. No matter where we are or what we have, we are either happy or we’re not, and no one can control that but us. The first time I left Lubbock, I was not looking in my rear view mirror. I was only 4 years old, and not allowed to drive. Through my life I would return and leave Lubbock two more times. My first return and departure happened when I was about 12 or 13 years old, no boy is happy at that transitional age. (Still not allowed to drive.) 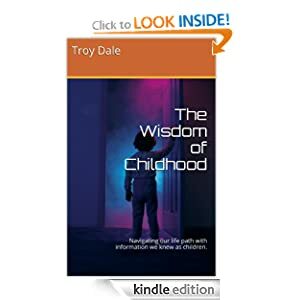 The second return and departure ended with a college degree and my first teaching job. I was most definitely happy. However, Lubbock has always been a great place to be from. I think I still have West Texas dust in my blood. 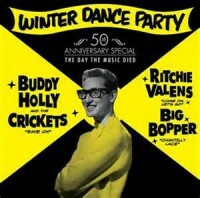 This entry was posted in Happiness and tagged Beatles, Buddy Holly, Delbert McClinton, Littlefield, Lubbock, Mac Davis, Richie Valens, The Big Bopper, Waylon Jennings, Winter Dance Party Tour. Bookmark the permalink. Good history, great thoughts. Your analysis on the source of happiness is spot on. And I think all of us have bells we would like to un-ring. Acknowledging it is the first step to walking more gently. I have a ton of bells that need un-ringing, but once it’s said it really can’t be un-said. Thanks for the comment. Wow, where to start. Next year my family reunion in Lubbock, Texas, where my brother raised his family and still lives and which I have visited several times. A week ago, thinking about it, I asked my husband, “Wasn’t there a popular song about Lubbock in the rear view mirror?” We googled it, listened to Mac Davis sing it, and had some fun. 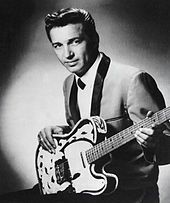 In addition, we have long been fans of Buddy Holly, Waylon Jennings, and, especially, Delbert McClinton, having heard him in concert several times. 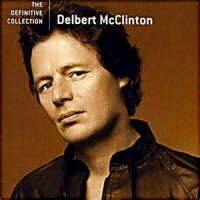 (Loved his old album cover; what a looker he was. I read your post to my husband who was patching a wall but still took the time to look at the album covers.) And finally, you are right on about happiness. Thanks for a great start to my day. Have fun in Lubbock. It has been many years since I have visited. I’m sure everything has changed. Thanks for the comment. I love this song so much. When my daughter started going to Texas Tech, I thought about it and listened to it on iTunes. So many memories… They have a Mac Davis Lane near Texas Tech. Great post. All Texans seem to seek connections. Mine is my hometown which is also the hometown and classmate one year younger than me who is in George Straits band. 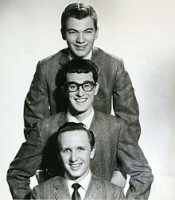 As well as my other hometownhero, Paul from Paul and Paula fame, Ray Hildebrand.